First Week of Green Tea Complete....And I feel Good! I do feel more energised I don't feel groggy after and cup and my mouth doesn't feel all milky as there is no milk. I'm not relying solely on Green Tea to help me because I know it will take a lot of hard work alongside of it to lose my goal weight but it's something I've changed in my lifestyle to help and if it's helped many others than I believe it might just help me. I've no interest in following other diet plans that seem to rule lives, not because I don't believe in them, it's simply I don't have the time to follow them and I have no problem in believing that if you eat the right foods and exercise daily there should be no reason, you shouldn't become healthier and lose weight if that's your goal. 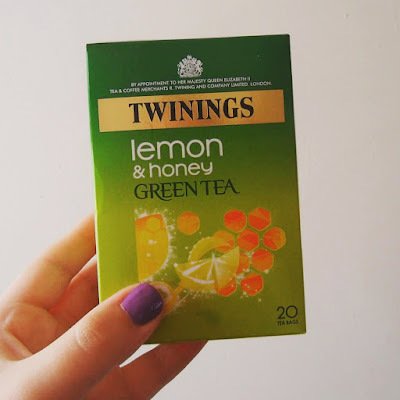 So for me, I will continue to drink this lovely tasting (slight sarcasm) Green Tea and explore all the different flavours and whilst doing that looking after myself inside and out because that is all we can do for ourselves. Sunsets are the Summers Snowflake! No two are the same, both snowflakes and sunsets but I'm not talking about snowflakes although they are great, for me the sunset trumps every time. A sunset to me is the equivalent to a perfectly formed snowflake landing on your shelve in the winter. Tonight I sneaked out (yes a grown adult can sneak out of her own home) with instructions from my man to watch the sunset as it was the first night in a while there was a clear enough sky to see one. I threw on my trainers and quietly, to not disturb my daughter who if she sees me leave a room, she goes into fall tantrum and cries like I just took away all her toys and favourite foods, and walked down to Levant Mine which is right on the coast line. Walking down this is what I saw. I can't tell you enough how many time in these last couple of years I have watched a sun set but it's been many and it's strange because before I moved to Cornwall I spent years only ever watching the sun set behind houses or trees, always wishing I could just see this once and now it's a part of my home. I saw my first sunset on Nick and I's second date, he didn't know it was a dream of mine, so he was shocked when my eyes welled and I started to hyperventilate with excitement not believing I was actually seeing a sunset for the first time with the man I was falling in love with. The strange thing is and this is where I believe things happen for a reason, two months before this second date, two months before I even knew Nick existed, I had missed out on a sunset, I had missed out on it by 40 minutes. It wasn't the right time to see it then but with Nick it was and ever since then, every sunset feels like the first one. It ignites a fire in my chest that burns and fills me with so much warmth I could live off that feeling alone. I would get sad watching a sun disappear in front of my eyes, I would get sad that the warmth it gives will be gone but I never do because I know that somewhere it rises for someone else and it will set for someone else, hopefully giving them the same feeling. I am not sad because I know it will rise in front of me again. What I love about the sun setting is how quickly it happens the second it hits that line of the ocean surface and how from that second it descends at a pace that if you blink you could miss it. The sun set at exactly 08:52pm 10/08/15. It fell leaving only a red glow behind it. I could and watch a sunset all day long so I hope I never get bored or tired of them because they are one of many things that make me love my home. That makes me feel lucky to be living in this beautiful coastal part of the country. I'm glad I saw the sunset tonight as today is the 10th, Mia has been in our lives for 11 months and in one month exactly she will become one and with everything else in my life, who I'm with, what I see and the people I love who get to see it with me, I am blessed. Baking is one of only a few activities that take me back to my childhood. -When I am adding each ingredients, I remember how I was aloud to crack the egg even though most of it got on the counter. -When I use a wooden spoon to mix it all together, I remember how excited I would be to lick the spoon once my mum got all the mixture into cake cases. -When I pull out the tray with great smelling chocolate chip muffins from the oven, I remember how proud I would be because I helped. Now I do them by myself. Mia is still a little young to be helping me in the kitchen yet but when she's old enough I would want her to get excited like I did. I would want her to help me like I used to love helping my mum. I have two brothers, one older and one younger and an elder sister. Whenever we were all in the house and my mum decided to make cakes and battle began before the cakes even made it to the oven. The battle of the bowl, spoon, and two whisks. Now everyone knows that the bowl outranks all of the other equipment used to make cake, so out of four sibling, 3 were to be disappointed, 1 of us was very happy. My speciality is Chocolate Chip Muffins, or muffins in general. I can not bake a big cake, I can do breads and pastries but when it comes to cakes I like to stick to the smaller sized ones. What activities do you do today, that take you back to your childhood? When I was younger I would spend my summer days laying in my garden and watching the sky above me. That sounds normal right? But it wasn't, in my hands I had a notebook and pencil. I used to count aeroplanes tallying them up, living outside of the city meant I had a lot of planes to count. From your window it's just a piece of sky, standing outside looking up it's a vast canvas full of ongoing changes! Some may see the sky as just a blue coating of a world we inhabit but there is so much more. Imagination runs wild up in the sky. Children and adults a like look up at clouds and see shapes, they see the lion standing proud, the castle home to Kings and Queens. The sky is a place to dream, where dreams come true. I love the sky at all stages during the day. The first light when the sun is rising from behind the trees and the sky is part blue with a hint of red/orange along the horizon, then as the day passes it becomes all blue and you see the whitest of clouds float by. Then the sun starts to set and the colours in the sky become so beautiful every time I see a sunset (I've seen many) it always takes my breathe away. The night sky. When a velvet sheet of darkness falls over the Earth. That's may favourite time of the day. I love to sit out and look up at a blue sky but I could watch a moonless night filled with billions of stars. I live on the coast so there isn't a lot of light pollution so I get to see a lot and it amazed me every time. If we didn't have to sleep during the night I wouldn't waste a minute of time doing anything else but look up and watch, sit in peace and just watch. Whenever I am feeling a bit down and I feel there's no point and there's nothing else, all I have to do is look up and every thing floats away. All my doubts that there is nothing else is gone because whether you believe there is something out there or not. To me there can't be all that space for no reason. I have written in notebooks, journals, diaries and now my favourite Moleskines, from the moment I hit the age my emotions went bat crap crazy (puberty). I held a lot of emotions and feelings in when I was younger so it was easier to express myself to blank pages than to an actual person. So now I've decided to join the blogging band wagon but I don’t want this to just be about me venting about my issues, I feel I've done that for too long. I'm an artist and an aspiring writer, I'm a mother to a beautiful baby girl Mia and I'm finally in life where I want to be with the people I want to be with. So that’s what I feel I should blog about, my likes and interests. My hopes and dreams. My sketches and photographs. Sure there will be a few issues that will arise but I don’t think they’d be anything worse than the compulsion to blow raspberries at every adult now due to that being the only line of communication I have right now with my eleven month old daughter. For me this blog isn't necessarily for thousands to read but more importantly for me to express myself, for me get out of my own head and to share. Because sharing is fun! !